Awhile back, I was given a router. 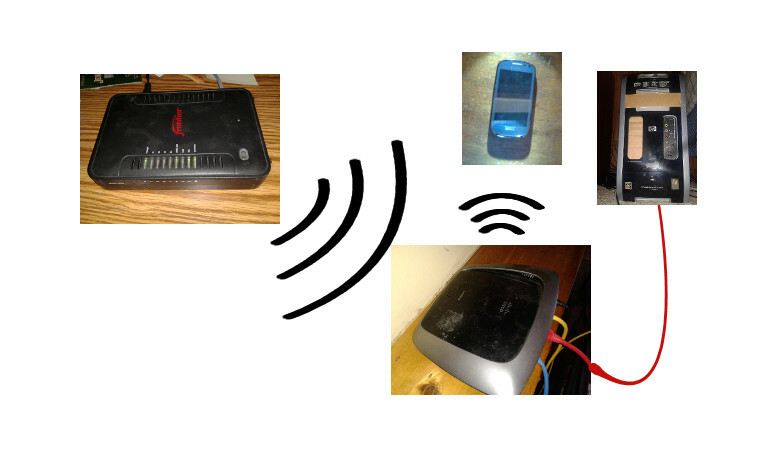 There was already a router at my house, so I started playing with it. I replaced the default software on it with DD-WRT, an open-source router firmware that gives any supported router features that are typical of much more expensive ones. Several months later, I moved to my grandparents’ house. My desktop didn’t have a Wi-Fi card in it, and it would’ve been inconvenient and expensive to buy network cables, drill holes through a few walls, and run the cables from the main router to my computer. Then I thought to myself, what if I could use my router as a Wi-Fi card? It turns out that I could, and you can too.